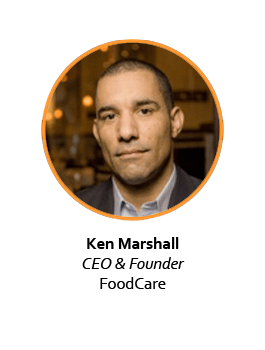 Ken founded FoodCare and leads go-to-market partner programs in our restaurant, healthcare, corporate wellness, and food services businesses. Prior to FoodCare, Ken served as the Chief Executive Officer of Appregatta Technologies, a leading market development services business for technology startups comprising a sales force of over 125 highly experienced business development executives, and full service support for strategic planning, product management and business operations. Previous to Appregatta, Ken served as a team member of the early cloud computing/SaaS practices at both Accenture and Deloitte. Prior to Accenture, Ken founded and led Sempire Systems, a pioneering enterprise software company in the Governance, Risk and Compliance (GRC) category. Ken started his career with PricewaterhouseCoopers Consulting in the CRM practice responsible for strategy, process and systems engineering of sales automation, marketing and customer care solutions.